Businesses have to compete hard in order to survive the competition and stay ahead. They depend a lot on visual communication through graphic designs to convey a brand message. This helps in bringing customers to businesses. 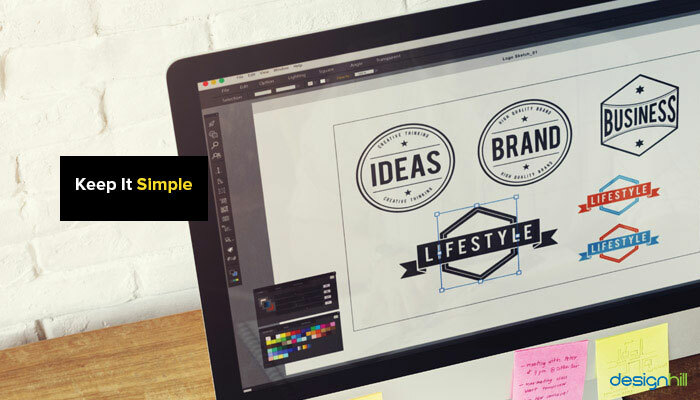 Logo design is one of the most potent visual tools for businesses to engage customers. Every small, medium and big business has to be on their toe when it comes to tackling the competition in any given market. They devise unique marketing strategies to draw the attention of people and turn them into a solid customer base. However, most of online and offline business fail as they do not have an effective marketing plans and visual communication strategies. In fact, 51 percent of small businesses fail in their first year of operation for lack of customers’ interest. A surefire way to make people turn their heads towards your business is to have a unique logo for it. One of the reasons for overwhelming success of global enterprises is that they all have memorable logos. Coca-Cola, McDonald’s, Apple, Nike, etc. are the companies whose logos flash before your eyes instantly. You can recall these companies’ business just by looking at their logos. That is the power of a memorable logo design.But not all logos are powerful visuals. There are many aspects of a logo that you need to fulfill in order to make it a visual delight. First, before you draw even a rough sketch of your logo, know who is an ideal customer of your client’s business. We all know that customer is at the center of a business. 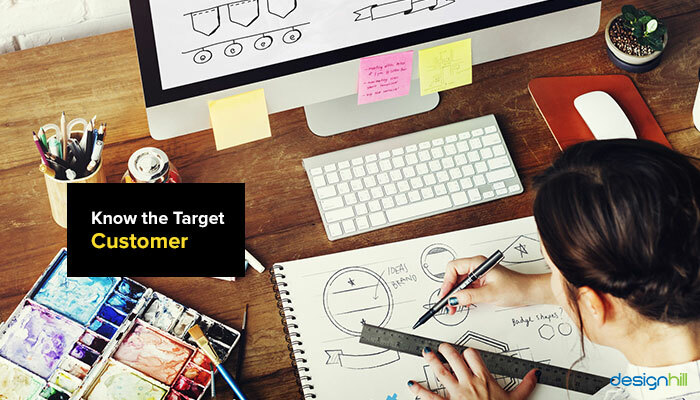 All the marketing plans are aimed at satisfying a particular set of people, who are the target customers. To find out more about the ideal customer, do some research. Talk to your client and get answers to some relevant questions regarding the audience. Find out the social and economic backgrounds of the ideal consumer. Know also about the competitors of the client.Have some knowledge of the target market as well. Also, know about the products or services your client sells or makes. 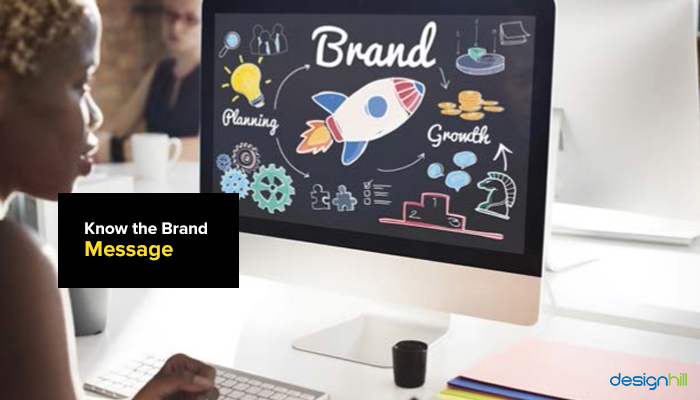 Once you have some insight about the target customer and market, it is now time to get a unique logo concept. The concept should reflect the brand personality and customers’ expectations from the brand. However, finding out a unique and memorable concept is perhaps the most difficult part of creating a logo design. This is because it is related with inspiration, which you have to wait for. To get the right concept, have a look at other logos of the similar businesses. Compare their concepts so that you can pick the one that stands out. For example, McDonald’s logo concept is an yellow arch, which is created using the letter M. Similarly, Apple logo concept is an apple with a bite [ byte]. An ideal logo design conveys some message to target audience. The message is usually about the business values of a company. So, first find out your client’s brand message. You get the message by researching the business more. When a company wants to project itself in a different light, it is actually conveying a message to the audience. You can directly ask the client to find out the message. But write down in clear language about what the business goals are and what its message is. Then, keep that in mind when picking the design elements for the logo. You should draw as many sketches as you can. These sketches will show up what is there in your creative mind. This way, you get many sketches of the ideas you have in mind. Remember that you may produce many sketches of a logo concept. One of the advantages is that you can then pick a sketch that you find closer to your concept. You can thus have a preview of how your final logo design is going to look. In fact, sketches should be taken seriously. This is the stage when you will be drawing an outline of the logo. You will later develop the selected sketch into a logo on your computer or drawing board. If you choose to create a lettermark or wordmark logo, choice of fonts will play a key role in making the logo memorable. Lettermark logos have only the initial letters of a company name. Wordmark logos have full name of the company. For example, HP logo is a lettermark while Coca-Cola logo is a wordmark. Pick a font carefully considering the company’s brand personality. There is a wide range of high quality fonts available to the designers. But not all of them are equally good for every logo design. The best logo idea is one that reflects the brand message perfectly. You, therefore, need to consider your client’s brand. For example, if the business makes or sells toys, its logo should have a handwritten typeface. But a law firm’s logo or a government department’s logo will most probably have a formal typeface. 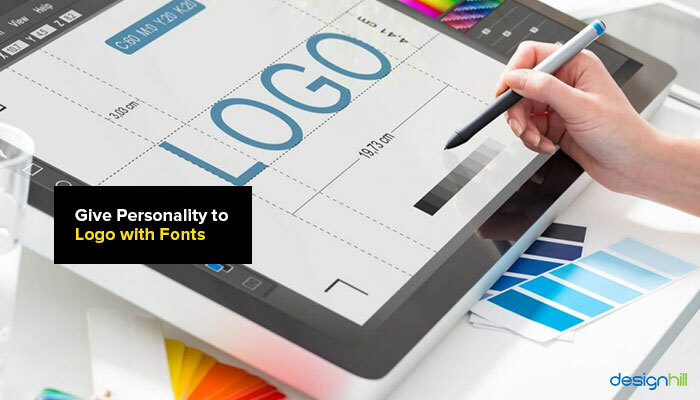 A perfect use of fonts will surely help in creating a unique logo and brand identity. A logo is a visual that businesses use to draw attention of the potential customers. But use of colors can even help evoke the right and intended feelings of people. For example, when we see yellow color in a logo, the feelings of freshness, sunshine, energy, socialization are evoked. When seeing red color, the emotions of love, passion, aggressive and energy dominate. You should use this power of colors to evoke an intended emotion from the customers. First know the brand message of your client and then pick the colors that reflect that message in the form of emotions. Your logo should be scalable so that it keeps the right proportions of design elements when it is printed on a larger scale. For example, if the logo appears on your billboard advertisement, it should fit perfectly with the billboard design. None of the logo elements of fonts, shape, lines, colors, etc. should look out of place. So, use design grids. 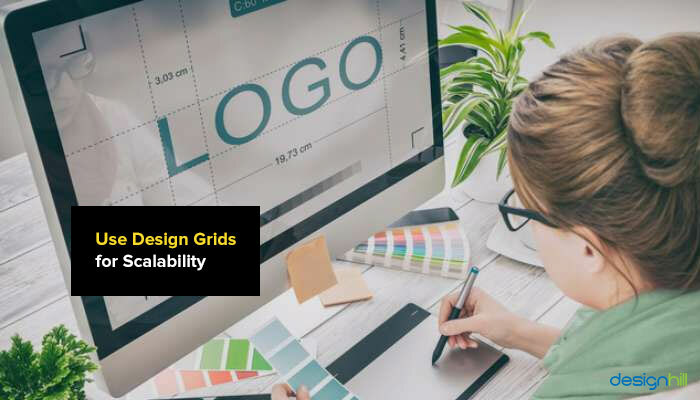 Many grids are available to the designers. Use any of them to ensure that each side of the logo is in proportion to the other. When such a logo is blown up, it still looks the same good design. Every graphic designer will give this advice. Your logo must immediately communicate its brand message to audience. That happens only when they can get the meaning of the logo without scratching their heads. This means that the logo should be simple and down-to-earth design. Most of global logos are recognized for simplicity of design. For example, Nike’s logo is a simple swoosh design that everyone can recognize instantly. Make sure that there is no complicated use of colors, typefaces, and lines. Usually, symbol logos such as Apple logo, are simple. But combination logos and wordmark logos can become complicated. So, take extra care when designing these logos. It would be good if you eliminate all the elements that are not required to communicate a message to the audience. This means, that if you can create a brand message using one color and one font, then avoid using many such elements.In fact, simplicity is a key ingredient in creating all graphic designs such as website design. It is to be noted that a logo is present everywhere since it is the face of a company. 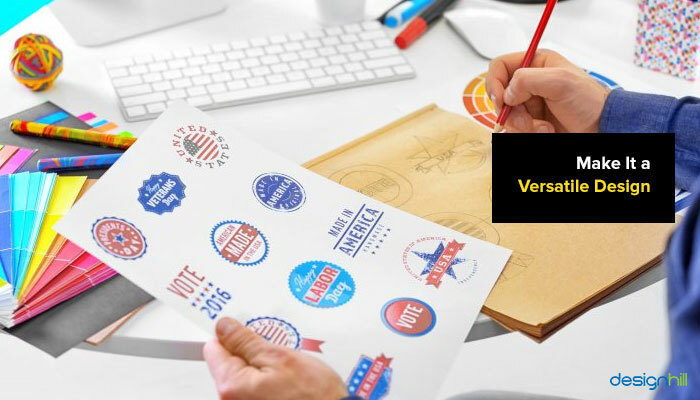 So, your client will print the logo on products or services, stationery, business cards, websites, leaflets, promotional products and many others. Therefore, make the logo a versatile design that fits well in all situations. For example, your logo may be an impressive design when it appears on websites but it may not look great on newspaper ads. So, make sure that the logo makes a lasting impression everywhere. Most importantly, colorless version of the logo should also be equally remarkable. Afterall, a logo will be printed on newspaper ads, stationery, leaflets, faxed copies, and so on. If your logo looks odd when it becomes part of your advertisement design, it will spoil the effect of the ad also. So, first, judge your logo in black and white. When you are satisfied with the design, you can incorporate colors in it. These are some of the basic considerations you need to make while creating a logo design that stands out. Business owners also should evaluate their logos on these parameters. If you own a small business and need a unique logo, you can crowdsource it to Designhill. This is a prominent marketplace where hundreds of talented graphic designers come to find graphic design services work . As you launch your logo design contest, they will response with unique design concepts.You will get your winning logo design at an affordable price. Designhill offers 100% Money Back Guarantee so that you can get back your funds in case the designs are not upto your satisfaction. A business can draw the attention of people through its unique logo design. The logo, should, therefore, a simple design that conveys a message. Make the logo scalable and versatile.